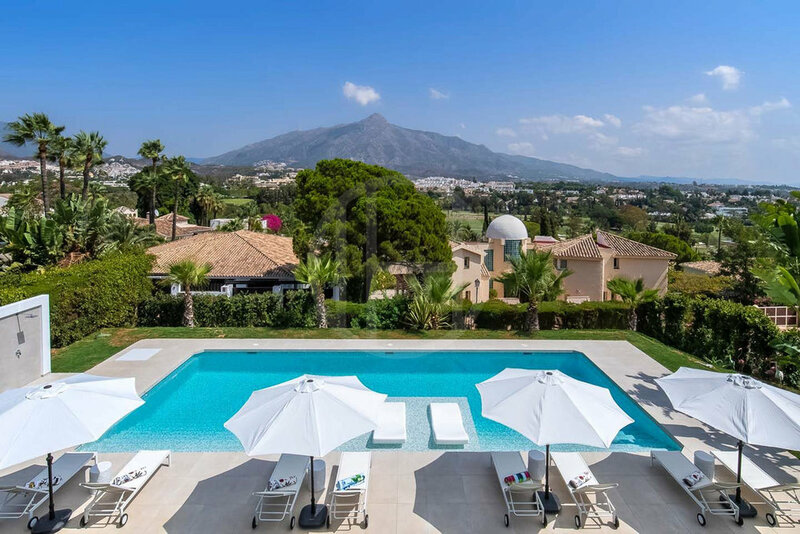 Beautiful contemporary classic villa with stunning views. The villa is built to exceed all expectations you have from a modern design villa. The villa is the perfect fusion between timeless lines and Italian influenced elegance. 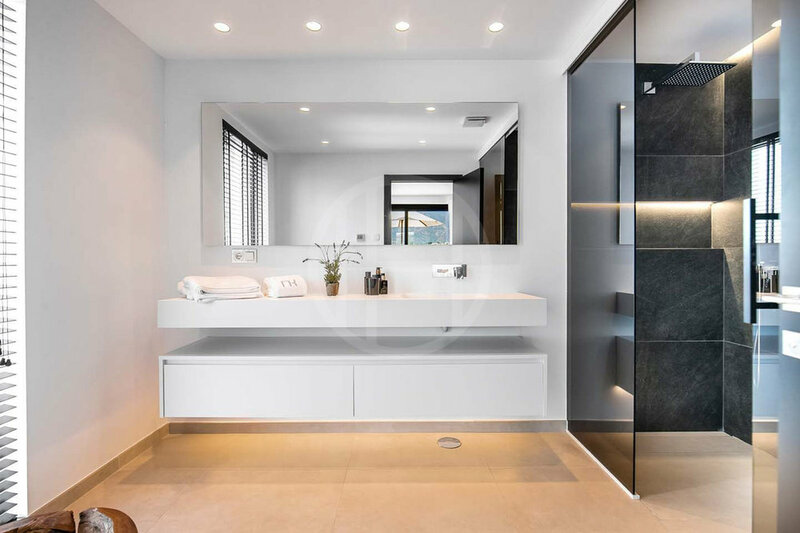 Carefully selected materials and furniture, underfloor heating throughout, domotic system and sound system. 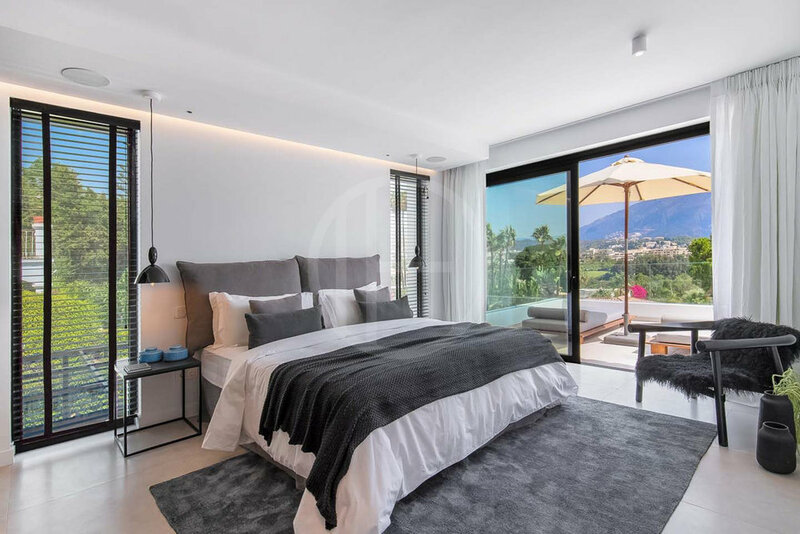 This spacious villa, distributed on three floors and offers generous outdoor living areas. On the entry level you have the grand lounge with two seating areas, fireplace and floor to ceiling windows with views to the pool and La Concha mountain. 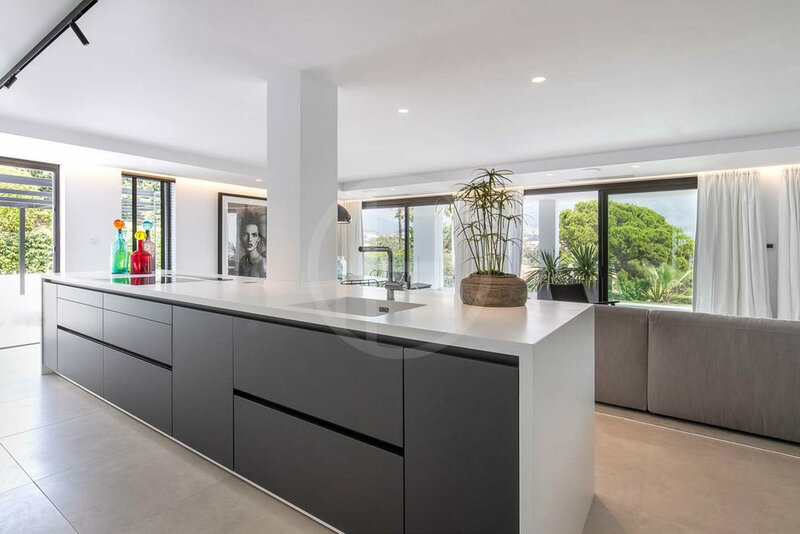 The living room is open to the dining area and a high-quality kitchen from Santos, fully equipped with Gaggenau and Miele appliances and Corian worktop. From the kitchen and living area, you have direct access to the outdoor living area. Covered by a beautifully designed pergola you have an outdoor kitchen with barbecue, sink, and stove. Another dining area and lounge sofas. On the upper floor, you have the master bedroom suite, a spacious bedroom with walk-in closet, large bathroom with walk-in shower and a bath. 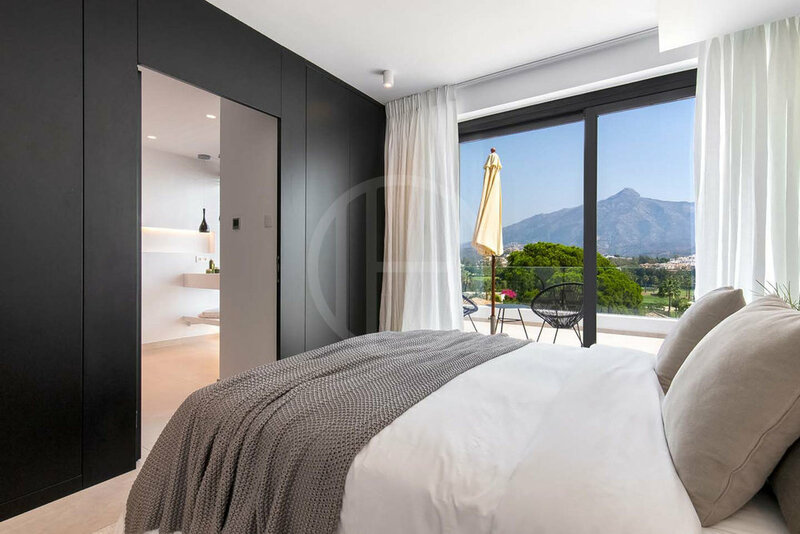 From the master bedroom, you have access to the upper terrace with panoramic views over the golf, mountains and towards the coast. 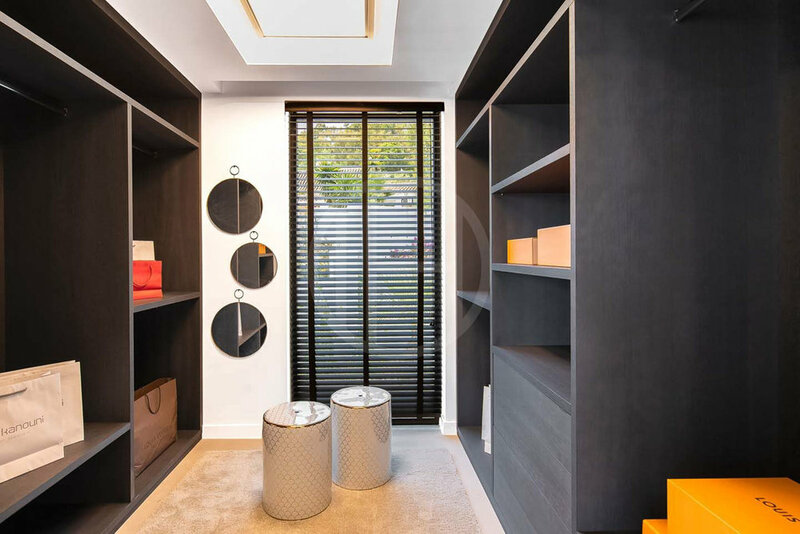 On this floor, there are two additional guest bedrooms, both of them en-suite and with built-in wardrobes, also with access to the terrace. On the lower floor, you are welcomed by a custom-built wine cellar and another lounge and playroom divided by an open fireplace. Here is also two more guest bedrooms and two bathrooms. 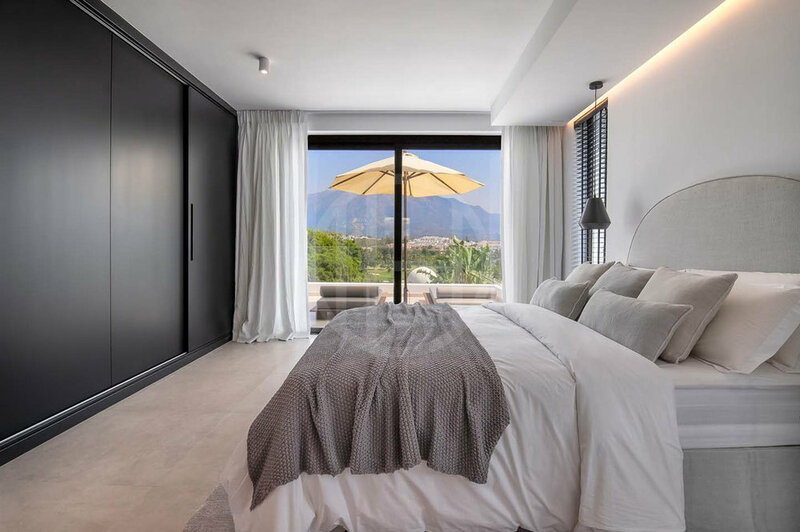 The bedrooms have great natural light and access to the garden and pool area. The landscaped garden is very private and tranquil with a fantastic pool area and an outdoor shower. Further, there is a garage for two cars with a glass wall facing the panoramic view of La Concha mountain.